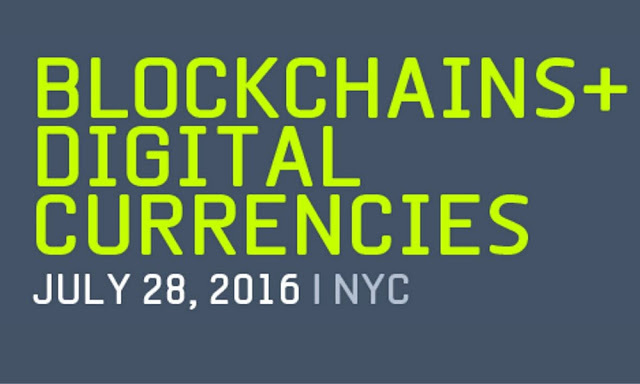 Technologists, bankers and startups to explore the challenges and opportunities of distributed ledgers at American Banker’s third annual Blockchains + Digital Currencies conference in New York July 28. NEW YORK – Some of the most exciting innovations in financial technology are leveraging the blockchain, a system of record-keeping that was created for the digital currency bitcoin but whose wider potential is now being explored by financial institutions worldwide. On July 28, bankers, technologists, entrepreneurs and regulators will gather in New York for American Banker’s third annual Blockchains + Digital Currencies conference to discuss this rapidly evolving phenomenon. The event will confront the hard questions facing the blockchain sector: Do open networks like Bitcoin and Ethereum offer the most value to commercial enterprises or are they better off using their own proprietary blockchains? What can a “permissioned” blockchain do that a traditional database can’t? Will regulatory initiatives at the state and federal levels and around the world hold back innovation in this space or give it room to flourish? Jeff Garzik, CEO and Co Founder, Bloq, Inc.
For more information about the conference, visit the event website. American Banker, a SourceMedia brand, is the essential resource for senior executives in banking and financial services, keeping its users updated on vital developments and focusing sharply on their most important concerns. Financial industry professionals turn to American Banker to stay maximally informed and engage with an authoritative community of analysts, practitioners and innovators through opinion content, research reports, social media, and live events. SourceMedia, an Observer Capital company, is a diversified business-to-business digital media, marketing services, research and event company serving senior professionals in the financial, technology and healthcare sectors. Brands include American Banker, The Bond Buyer, Financial Planning, On Wall Street, Mergers & Acquisitions, Accounting Today, Bank Investment Consultant, Health Data Management and Employee Benefit News.